French supermarket giant Carrefour has announced that it will work with Publicis.Sapient to become a global leader in e-commerce. The announcement was made today during the Carrefour 2022 strategic plan announcement by Alexandre Bompard, chairman and chief executive of the Carrefour Group. The goal, he said, is to become a global leader in food e-commerce. 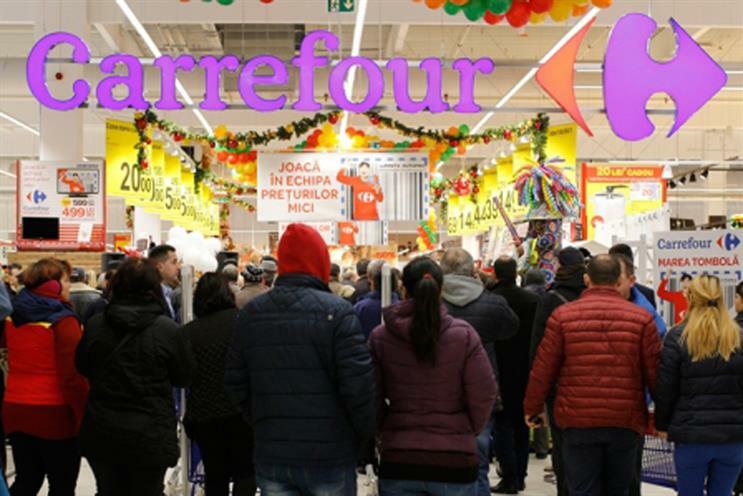 Carrefour aims to hit €5bn (£4.4bn) in annual online food sales by 2022. To achieve this, the group will invest €2.8bn in its digital transformation efforts and will being with a single e-commerce platform in France. However, as part of its strategic plan, Carrefour also announced that it would be making heavy lay-offs in its home country, France. To save on costs, Bompard said that the supermarket would cut 2,400 jobs in France, and close 273 stores it bought from Spanish discounter Dia in 2014. Further, Carrefour discussed selling of a stake in Carrefour China to Chinese tech giant, Tencent, and fresh food retailer Yonghui (which is partly owned by Tencent). "The top priority of Carrefour2022 is the construction of an omni-channel system of reference. To achieve this objective, we will invest heavily in and rely on first-class partners, such as Publicis.Sapient, a major international player, which will dedicate its talents and expertise to Carrefour to help us accelerate our digital transformation," Bompard said. Bompard continued that the plan was to launch a "unique business platform in every country in which the Group operates", and described the work as an "e-commerce challenge". Publicis.Sapient will work closely alongside the Carrefour teams to share expertise and implement efficient and durable digital and technology solutions. "To deeply support the extensive strategic and digital transformation of an international player of this stature is a challenge that the know-how of Publicis.Sapient is prepared to meet," Arthur Sadoun, chairman and chief executive of Publicis Groupe, added. How to bridge online and offline retail... and is it entirely necessary?